Greg A. Garbacz has found success in employment, business/ class action, professional liability/ securities, and real estate/ housing discrimination litigation. An experienced litigator and trial attorney, Mr. Garbacz has handled complex litigation and trials in both state and federal courts, including in a broad range of topical areas, which consist of employment litigation, wage and hour class actions, real estate/housing discrimination, product liability, professional/director & officer liability, and fraud/business tort cases. Mr. Garbacz has significant experience in the courtroom, having successfully handled jury trials, court trials, contractual arbitration, and mediations to achieve success for his clients inside and outside the courtroom. Equally important, with over twenty years of experience in the courtroom and negotiating business deals, Mr. Garbacz knows how best to get clients to their desired goals quickly and as efficiently as possible, proactively identifying an adversary’s weaknesses and designing a negotiation or litigation strategy to maximize the potential for success. In addition to being a skilled litigator, Mr. Garbacz also provides unique business solutions, strategic advice and counseling to businesses with regard to a broad range of legal and contractual issues, including executive/employment contracts, employment counseling, litigation avoidance techniques, contract/dispute negotiation, misappropriation claims, unfair business practices, confidentiality and non-compete agreements, and trade secrets disputes. Many of the clients that first met Mr. Garbacz through litigation have continued to rely upon him in their regular business dealings for strategic decision making to help them avoid litigation and offer legal guidance. 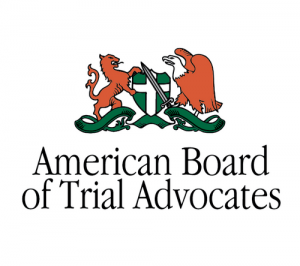 Mr. Garbacz is a member of the American Board of Trial Advocates (ABOTA), a highly-respected national advocacy group dedicated to the preservation of the right to trial by jury. An AV-rated shareholder with the firm since 1997, Mr. Garbacz is regularly featured in Southern California Super Lawyers® and other publications that identify the best lawyers in Southern California. Mr. Garbacz frequently speaks at a variety of programs, seminars, and events pertaining to employment and labor law and professional liability issues. Additionally, Mr. Garbacz regularly takes on pro bono employment and housing cases for the San Diego Volunteer Lawyer Program. He currently serves on Klinedinst’s Executive Committee and as its Chief Strategy Officer, and is a former Chief Operating Officer. Mr. Garbacz opened Klinedinst’s Los Angeles office in 2002, and served as its managing shareholder from 2002 through 2005. He also has previously served as the Chief Financial Officer of the firm. In addition, he currently serves as chair of the Housing Discrimination Defense and Civil Rights group and co-chair of the Business and Commercial Litigation group. Born in Columbus, Indiana, Mr. Garbacz graduated from Washington & Lee University School of Law where he was a member of its Law Review. Mr. Garbacz earned his Bachelor of Arts degree from Lafayette College in Easton, Pennsylvania. 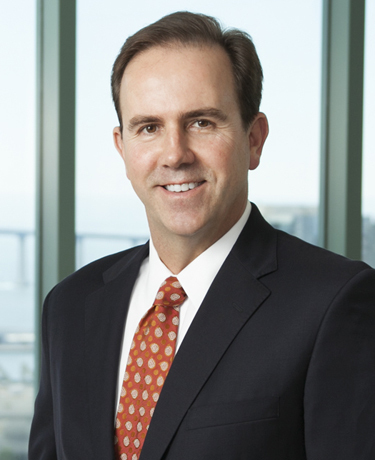 He has been licensed to practice law in California since 1993. Erik Lugris, et. al. v. Full Swing Golf; Employment/ business sale dispute. Outcome: $1.6 million judgment in favor of clients. Future Growth, et al. v. Gateway Title Co., et. al. ; Real estate fraud, Outcome: Jury verdict with judgment in excess of $3 million for client. Cui v. Quantum Fuel Systems Technologies Worldwide, Inc.; Employment/ disability discrimination dispute. Outcome: Defense verdict for client. Sabi v. Sterling; Housing discrimination/ civil rights case. Outcome: Defense verdict and successful appeal for client.